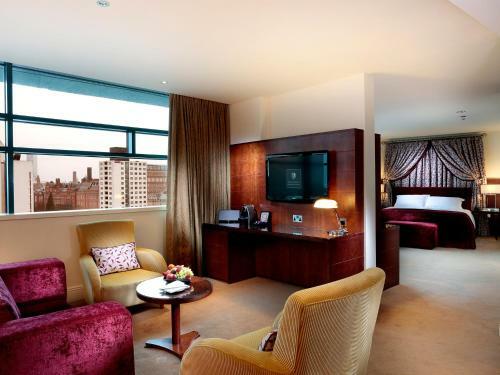 We offer a wide range of hotels near Manchester City from cheap accommodation to up market luxury hotels. Search our database of hotels to find the lowest rate for your stay closest to City of Manchester Stadium. These luxury apartments with free WiFi are a 5-minute walk from Manchester Piccadilly Station and Piccadilly Gardens, and offer on-site parking. Just 150 metres from Manchester Piccadilly Station, the Macdonald Manchester Hotel has an award-winning restaurant, which serves seasonal produce. The property was awarded Best Luxury Hotel in Manchester from the Eat Drink and Awards 2015. These stylish loft-style apartments are located in a Grade II listed building in the city centre, just 100 metres from Manchester Piccadilly Train Station. Staycity Aparthotels Piccadilly offers accommodation in Manchester. Canal Street is 300 metres away. Free WiFi is featured throughout the property. All units have a seating and dining area. There is also a kitchen, equipped with a dishwasher.